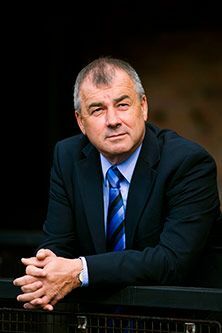 Sir Brendan Barber has been appointed as the new Chair of the Advisory, Conciliation and Arbitration Service (Acas) Council. Sir Brendan will replace current Chair, Ed Sweeney, who has been in the post since 2007. "Sir Brendan has spent his whole career in employment relations and will be able to bring his considerable experience in dispute resolution to this important post. Last year Acas were involved in around 80,000 individual and 900 collective conciliations, playing an essential role promoting economic growth in the UK". A former President of the Students' Union, Brendan graduated from City University London with a BSc in Social Sciences in 1974. A year later, he began a 37 year relationship with the Trades Union Congress (TUC). In June 2003 he became General Secretary, a role he held until his retirement in 2012. Brendan was awarded an Honorary Degree from City University London in 2007 and appointed to its Council in February this year. Sir Brendon was knighted in the 2013 Birthday Honours for services to employment relations. He will take up his role with Acas in the new year.